Following their electrifying early morning performance of their hits "The Last of The Real Ones," "Uma Thurman" and "My Songs Know What You Did In The Dark (Light Em Up)" in NYC's Central Park for Good Morning America's "Summer Concert Series" on July 27 (watch the full set here, including online exclusives "Champion" and "Centuries"), multiplatinum modern alt-rock pioneers Fall Out Boy have announced they will release all seven of their studio albums on vinyl as a lavish box set titled "The Complete Studio Albums" on September 28 via Island/DCD2/UMe. 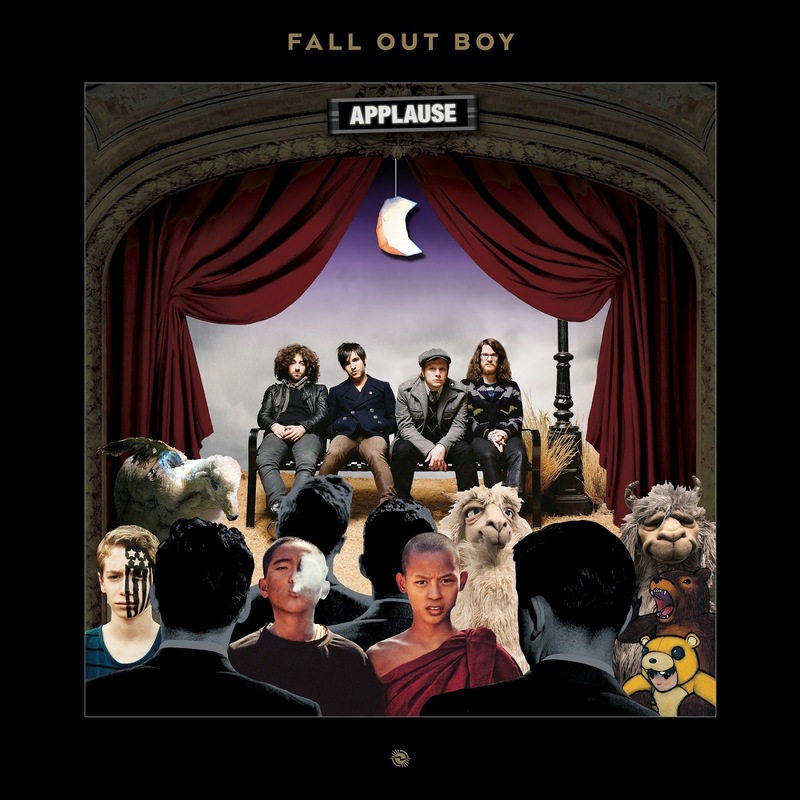 Spanning the band's storied and wildly successful 15-years-and-counting recording career, the comprehensive collection contains all of Fall Out Boy's best-selling studio albums, starting with the band's 2003 pop-punk debut "Take This To Your Grave," including 2005's career-defining double-platinum hit platter "From Under The Cork Tree" and capping off with their most recent album "M A N I A," which earned the band their fourth No. 1 record upon release this past January. This must-have on-wax collection also includes 2013's combo "Save Rock And Roll" (PAX•AM Edition) for the first time ever on 12-inch vinyl. "The Complete Studio Albums" will be made available in two versions — a standard edition on 180-gram black vinyl, and as a limited-edition, 180-gram clear vinyl collection. This extensive vinyl box celebrates the first decade and a half of the Chicago-bred band's incredible career, showcasing all of Fall Out Boy's iconic hits like the hard-knock manifesto "This Ain't A Scene, It's An Arms Race," the muscular lament of "Sugar, We're Goin Down," the hard-stomping, fist-pumping singalong "My Songs Know What You Did In The Dark (Light Em Up)," the wistful shorthand lament of "Thnx fr th Mmrs" and the immortalized directive of "Centuries," among them. Spread across 11 LPs, the records included in "The Complete Studio Albums" are all pressed on 180-gram black vinyl and come packaged in a beautifully designed shadow box along with an exclusive custom slipmat. The 1,000-piece limited-edition version includes all of the elements found within the black-vinyl box, but is instead pressed on 180-gram clear vinyl. The 2LP version of "From Under The Cork Tree is the Black Clouds And Underdogs Edition" that was initially released in March 2006 with an expanded track list that added three new songs and two dance mixes. The aforementioned "Save Rock And Roll" (PAX•AM Edition) package contains all of the tracks from the original album plus eight songs produced by Ryan Adams that had been released separately in October 2013, six months after the initial album drop. Fall Out Boy's live prowess will be on full display when the band's "M A N I A" tour kick offs on August 29 in Uniondale, New York. The 25-plus-date U.S. tour includes an extra special stop on September 8, when Fall Out Boy returns to their native stomping grounds for a special homecoming milestone event — namely, their first-ever headlining show at Chicago's iconic Wrigley Field. Tickets for the tour are available now, and $1 from every ticket sold will go to the Fall Out Boy Fund benefiting charities all throughout Chicago. 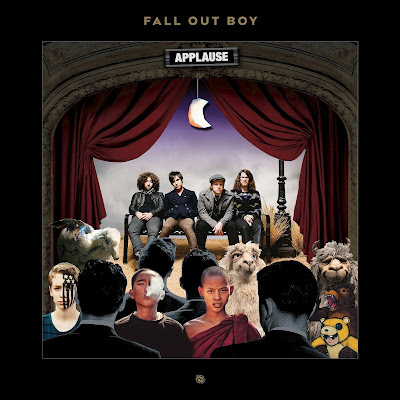 Some of the albums contained in the box set are also receiving individual releases on cool customized vinyl, including "American Beauty/American Psycho" (180g, with black & white swirl), "Folie À Deux" (180g opaque brown), "From Under The Cork Tree" (180g, with red & black split) and "Infinity On High" (180g clear with red splatter), all on October 26. Then, on December 14, "Save Rock And Roll" (PAX•AM Edition) takes center stage in two versions: standard 180g black vinyl, and 180g red vinyl with black smoky swirls. Regardless of which version fans choose to experience the sonic wonders found within this all-inclusive box set, "The Complete Studio Albums" has been designed to be the ultimate Fall Out Boy collector's item.